DOOMSAYER – RED CHINA’S MELT DOWN -BEIJING IS DOOMED : RED CHINA’S ECONOMIC MELT DOWN IS REFLECTED BY THIS IMAGE OF LABOR ACTIONS SUCH AS STRIKES AND PROTESTS DURING 2015 AS COMPANIES FAIL TO PAY WAGES TO WORKERS. THE SIZE OF CIRCLES IS ACCORDING TO THE NUMBER OF LABOR ACTIONS PRIMARILY AT COMPANIES THAT CATER TO EXPORT MARKET. At Special Frontier Force, I am known as ‘Doomsayer of Doom Dooma’ for I share a prophetic vision that predicts Red China’s “Doom” which means what is laid down, decree, judgment, a sentence of condemnation, destiny, tragic fate, ruin, and a penalty ordained by a Divine Force. ‘Melt Down’ is a situation in which a rapid rise in the power level of a nuclear reactor, as from a defect in the cooling system, results in the melting of fuel rods and release of dangerous radiation which may cause the core to sink into earth. Melt down refers to a sudden decline or breakdown in a situation or condition. In recent months, Red China is facing increasing economic woes and she is struggling to cope with this situation by turning to risky devaluation of her currency. HONG KONG â€” When Prime Minister Li Keqiang convened the Chinese cabinet last month, the troubled economy was the main topic on the agenda. 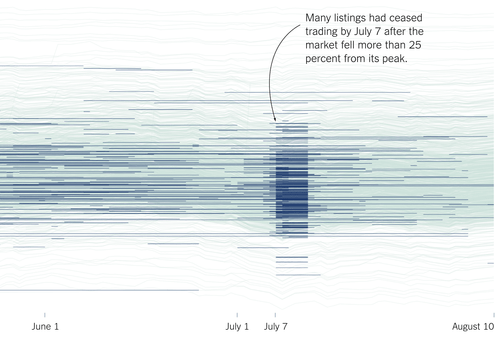 The stock market had stumbled after a yearlong boom. Money was flooding out of the country. 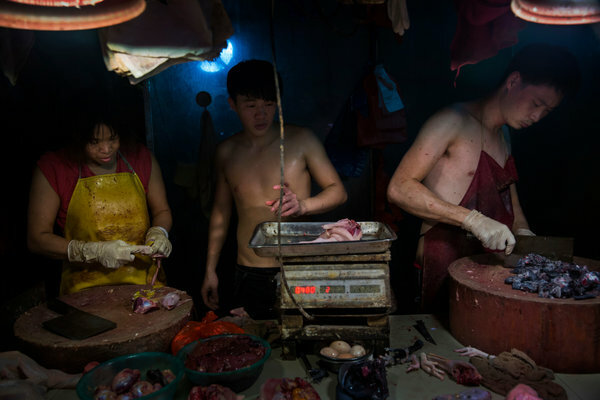 Most ominously, Chinaâ€™s export machine had stalled, prompting labor strikes. With the government keeping a tight grip on the value of the renminbi, Chinese goods were more expensive than rivalsâ€™ products overseas. The currencies of other emerging markets had fallen, and Chinaâ€™s exporters could not easily compete. It all set the stage for the currency devaluation last week that resulted in the biggest drop in the renminbi since 1994. The cabinetâ€™s call to action: The country needed to give the currency more flexibility and to reinvigorate exports. If officials did not act, China risked deeper turmoil at home, threatening the stability of the government. But the sharp focus on the domestic agenda also complicates Chinaâ€™s global ambitions. By devaluing the currency, the authorities, who have been pushing a big expansion of global investments, are eroding some of the countryâ€™s buying power overseas. China appears willing to make those trade-offs. Manufacturing, the core engine of growth in the worldâ€™s second-largest economy, is just too critical. And the pressures have been mounting, with exports last month plunging 8 percent compared with 2014. The weakness is creating problems elsewhere in an economy already rattled by a real estate slump. Across the country, millions of workers and thousands of companies are feeling the pain, as sales slip and incomes drop. Zhang Wei, a carpenter at a construction materials market in Guangzhou, says customersâ€™ orders are plunging. Hu Sheng, a seller of metal siding, had to cut prices to the bone, and even then his sales dropped by a third. After the top-level meetings in July, officials moved quickly. On Aug. 11, the central bank announced a new policy for determining the value of the renminbi, saying it would allow market forces to play a greater role. By JONAH M. KESSEL on Publish Date August 14, 2015. Photo by Adam Dean for The New York Times. Although the central bank denied the decision was motivated by the export issue, officials were assured a quick, economic benefit. Once market forces were unleashed, they resulted in the sharp and swift decline of the currency, which dropped by 4.4 percent last week. But the devaluation creates uncertainty, potentially undermining confidence in what had been the worldâ€™s steadiest and most enduring economy. It will also test President Xi Jinping and the leadership, as they try to balance their domestic needs and global expansion. A deteriorating economy could force them to pick between the two agendas. The biggest casualties of the economic woes are the workers. Zhou Ping, 23, moved from central China to Guangzhou in Guangdong Province three years ago and got hired cutting fabric at a garment factory. He lost his job three months ago and has been unable to find any work. DOOMSAYER – RED CHINA’S MELT DOWN -BEIJING IS DOOMED : RED CHINA’S ECONOMIC MELT DOWN IS REFLECTED BY THIS IMAGE OF LABOR ACTIONS SUCH AS STRIKES AND PROTESTS DURING 2015 AS COMPANIES FAIL TO PAY WAGES TO WORKERS. CIRCLES ARE SIZED ACCORDING TO THE NUMBER OF LABOR ACTIONS AT COMPANIES THAT PRIMARILY CATER FOR EXPORT MARKET. Circles are sized by the number of strikes and other labor actions, like demonstrations, since February 2011. About 200 workers of the Shandong Haijin Group, a paper maker in Jining City in Shandong province, strike and create roadblocks in May over eight months of i.o.u.s for unpaid wages. Sporadically in May, several thousand workers of the Ashley Furniture factory in Kunshan City in Jiangsu province wage strikes and demonstrations over stagnant pay and arbitrary deductions. About 700 workers at Zhanheng Toys Electronics Company in Dongguan in Guangdong province demonstrate and create roadblocks in August over unpaid wages. About 500 workers of Henan Dingsen Clothing, a cloth maker in Shangqiu City in Henan province, strike and march to a government building in July over receiving i.o.u.s for unpaid wages for three months. Over 1,000 workers at Compart Technologies, a hard-disk drive maker in Chongqing province, strike in July for receiving i.o.u.s for unpaid wages and housing funds for eight months. More than 1,000 workers strike in July at the Guangdong Elecpro Electric Appliance manufacturer in Foshan in Guangdong province demanding severance pay after a large layoff. About 200 workers of the Shandong Haijin Group, a paper maker in Jining City in Shandong province, strike and create roadblocks in May over eight months of I.O.U.’s for unpaid wages. About 500 workers of Henan Dingsen Clothing, a cloth maker in Shangqiu City in Henan province, strike and march to a government building in July over receiving I.O.U.’s for unpaid wages for three months. 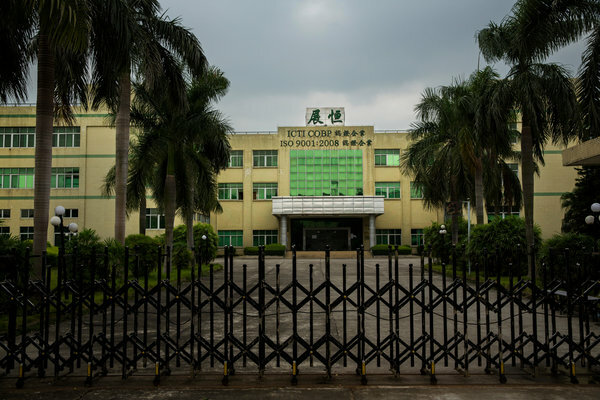 Over 1,000 workers at Compart Technologies, a hard-disk drive maker in Chongqing province, strike in July for receiving I.O.U.’s for unpaid wages and housing funds for eight months. *Labor protests peaked in January 2015 because workers pressed for back wages and made other demands before returning to their hometowns for Chinese New Year. While China lacks reliable unemployment statistics, the labor market is under significant pressure. Pay is barely climbing faster than consumer prices. Millions of Chinese are looking for work. It is a sensitive issue. The leadership has indicated that slower economic growth is acceptable, provided the labor market remains strong. Any instability could prompt an internal debate about whether the government can manage a slowdown and still meet its global goals. If President Xi cannot deliver rising living standards, â€œthat will undermine the long-term sustainability of the regime,â€ said Li Daokui, an economist at Tsinghua University in Beijing. When Deng Xiaoping began opening the countryâ€™s economy to capitalism and foreign investment in 1979, he started in a series of duck-farming villages in southeastern Chinaâ€™s Guangdong Province, next to Hong Kong. His successors subsequently built on the plan, turning the experiment into the worldâ€™s biggest hub of light industry manufacturing, producing items like microwave ovens and laptop computers. The area is a crucial backbone of Chinaâ€™s economic story. Guangdongâ€™s main cities â€” Shenzhen, Dongguan and Guangzhou â€” developed into a vast urban sprawl, each with a population the size of Los Angeles. As exports surged, the country produced double-digit growth for decades. The newfound wealth prompted China to find opportunities overseas, which helped expand its international influence and support its domestic needs. But the export business is now suffering. Sales have slumped for furniture makers, for example, as demand overseas has flagged, particularly in Europe. Chinese families are also buying less, as sagging home sales and real estate prices mean fewer people need to decorate new apartments. â€œMany furniture factories in the Guangzhou area have closed over the past year,â€ said Rachel Wang, the sales manager at Hongyuan Furniture Manufacturing, a Guangzhou maker of home saunas. Hongyuan Furniture has helped offset a slowdown in Europe by expanding to Australia. 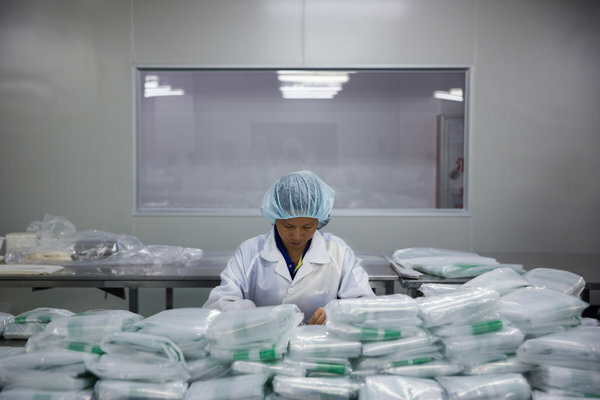 Charles M. Hubbs, the owner of Premier Guard, which makes medical equipment in Guangdong Province, said the devaluation would help, estimating the currency drop would add $300,000 a year in profit. But itâ€™s not enough, he said, to make the company more competitive. Despite the problems in the job market, monthly factory wages, which have increased tenfold at Premier Guard over the last decade, remain high and eat into profit. Mr. Hubbs is considering moving part of his manufacturing operation to Texas, as a way to reduce freight costs and to avoid American import taxes. Even if the currency drops by 8 to 9 percent, it is â€œnot going to bring any business back to China,â€ he said. â€œNobodyâ€™s going to come back to China,â€ for fear the renminbi might strengthen later. 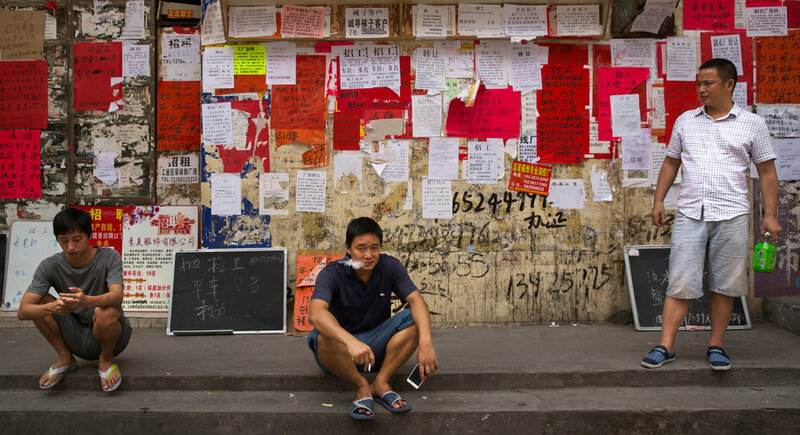 As sales fall and factories close, strikes and other labor actions have been increasing, to nearly 200 a month, according to the China Labor Bulletin, a nonprofit group based in Hong Kong that calls for collective bargaining rights. Four years ago, it was around a dozen a month. At the Zhanheng Toys Electronics Company in Dongguan, 700 workers raucously demonstrated on Aug. 4, demanding back wages. Management had suddenly left and stopped paying workers. Such disappearances are common in China. If they stick around, managers of failed companies may be detained by the police, who search for signs of embezzlement and try to force executives to dig into their savings to pay creditors. â€œThe Hong Kong boss ran away,â€ said a security guard at Zhanhengâ€™s front gate on Thursday afternoon who declined to give his name. No managers were left to answer questions, the guard added. The local government ended up paying the back wages a day later. It is a routine practice after business failures in China, where local governments are responsible for maintaining social stability. Wu Yukan, a plastics distributor who is also the vice chairman of the local chamber of commerce, came to the factory gate in a black Audi with two aides. Over a thousand miles away from the turmoil in Guangdong, at a monolithic building in Beijing, Zhou Xiaochuan, the governor of the Peopleâ€™s Bank of China, has the task of guiding the currency at a complicated time, at home and abroad. Tall, cerebral and urbane, he has written a series of books and long academic articles in Chinese on economics. He taught himself English. He has been steeped in Communist Party politics from childhood. His father, a deputy minister in the early 1960s, mentored a young Jiang Zemin, who later served as Chinaâ€™s leader for a decade. Mr. Zhou needs those economic and political strengths, as the country tries to rev up exports and keep its international expansion on track. While he needs to let the renminbi respond to the market, he must also maintain control over the currency. Mr. Zhou also wants to convince the world that the renminbi deserves a place among the elite group of global reserve currencies, which includes the dollar, euro, yen and pound. In March, Mr. Zhou welcomed Christine Lagarde, the managing director of the International Monetary Fund, to a conference in Beijing. He told Ms. Lagarde and top global bankers that he would dismantle the many currency restrictions. â€œA set of pilot policies and regulations will be released this year, to basically achieve the requirements for a currency that can be used more easily,â€ he said. For years, China set an initial price for the renminbi in dollars each morning and then allowed the currency to trade in a narrow band. The initial price was somewhat arbitrary. A week before the devaluation, an I.M.F. report expressed concerns, suggesting a more market-oriented approach. Starting last Tuesday, the central bank said it would give the market more sway, basing the initial level on the previous closing price. The I.M.F. gave its cautious approval, saying it â€œappears a welcome step.â€ But the execution, the fund said, would be critical. Mr. Zhou faces a delicate task. He used to be able to set monetary policy without worrying that money would rush out of the country if interest rates were too low or the currency too high. With the loosening of controls on moving large sums of money, he must now navigate the pressures of the market. He also has to appease many constituencies. The commerce ministry has long lobbied for a weak renminbi to help the countryâ€™s exporters. But Mr. Zhou canâ€™t let the currency drop too much, lest he antagonize the Chinese companies investing abroad and the Chinese families sending students overseas. Erica Law, a 27-year-old Chinese investment banker, sat in a Starbucks in Guangzhou on Thursday, talking about her plans to buy an apartment in Europe. As a student, Ms. Law studied and traveled in Europe. She has since returned on vacations, maintaining a love affair with a continent that, with its clean air and well-preserved historic monuments, still seems so different from China. The exchange rate now factors into her plans. Michael Forsythe contributed reporting from Hong Kong, and Michael Schuman from Beijing. Kiki Zhao and Patrick Zuo contributed research from Beijing. A version of this article appears in print on August 18, 2015, on page A1 of the New York edition with the headline: China Turned to Risky Devaluation as Export Machine Stalled . DOOMSAYER – RED CHINA’S MELT DOWN -BEIJING IS DOOMED : RED CHINA’S ECONOMIC MELT DOWN IS REFLECTED BY THIS IMAGE OF LABOR ACTIONS SUCH AS STRIKES AND PROTESTS DURING 2015 AS COMPANIES FAIL TO PAY WAGES TO WORKERS.